Is an Avatar: Extended Edition Coming to Our Cinemas? James Cameron’s Avatar has railed through box office records and Fox are basking in its afterglow with coffers overflowing and looking ahead to their next wave of cash courtesy of Pandora. The astonishing success of Avatar does have its drawbacks, primarily how to overcome the inevitable disappointment of the transfer, and loss of the all important third dimension, to the home entertainment market. The answer is simple: Re-release the film but add in all of the extra scenes which were left on the cutting room floor. That’s the rumour, according to THR, who put an extra forty minutes on the running time of the film, already a not inconsiderable 162 minutes, however the likelihood is that the extra footage will far less than this, to remain in the IMAX 170 minute limit. Cynics may point out that the beating of this particularly bountiful cash pinata through a re-release following the 2D DVD and Blu-ray in late Spring but I’ve always had the feeling that Avatar would be around again sooner than we thought. 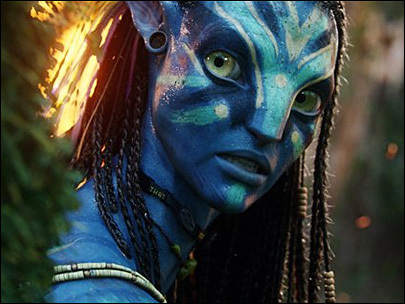 With the proposed sequels no doubt gearing up for production, as well as Cameron’s rumoured 2012 Titanic re-release in 3D, it seems as though the huge Avatar fanbase will have many more opportunities to return to Pandora again and again.